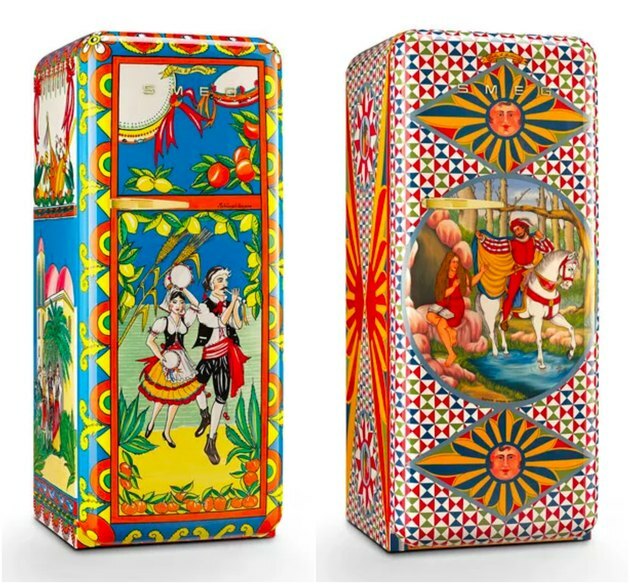 Let us break this down for you: Dolce & Gabbana has been putting out gloriously Italian hand-painted Smeg refrigerators for a couple of years, as well as other home appliances such as blenders and toasters, as of late. The news is that you can now buy these perplexing fridges in the U.S. from Neiman Marcus, according to Vogue... for $50,000 a pop. Do not get us wrong: the artistry and craftsmanship poured into these refrigerators is breathtaking. They're hand-painted by several different artists, and all feature Italian scenes in bold primary colors. But on a fridge?! Maybe that's just the idea: to shock the public into viewing and appreciating intricate Italian art that they otherwise wouldn't. 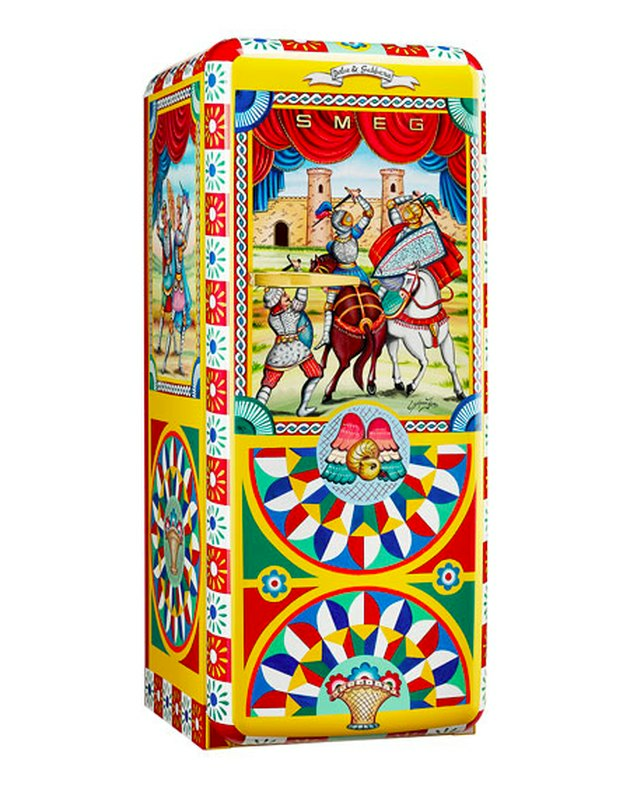 "The Sicilian cart and its traditional iconography are the sources of inspiration for the scenes painted on this refrigerator. The story of Saint Geneviève is the main theme." 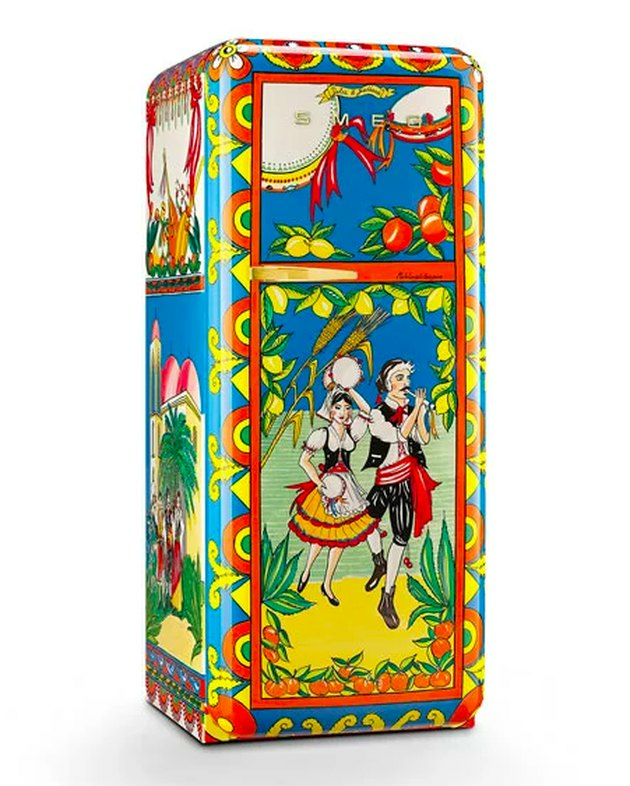 "The decoration of this refrigerator is inspired by the songs and dances of popular Sicilian tradition, particularly the Tarantella and the Taratatà." 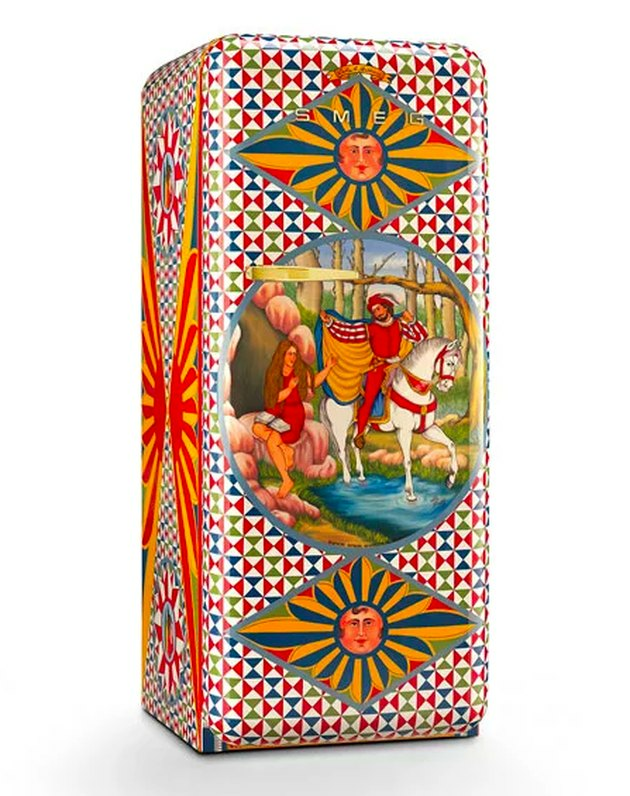 "The decorations of this refrigerator are inspired by the ancient Sicilian art of the Opera dei Pupi, the traditional puppet theatre that recounts the exploits of Charlemagne's knights." 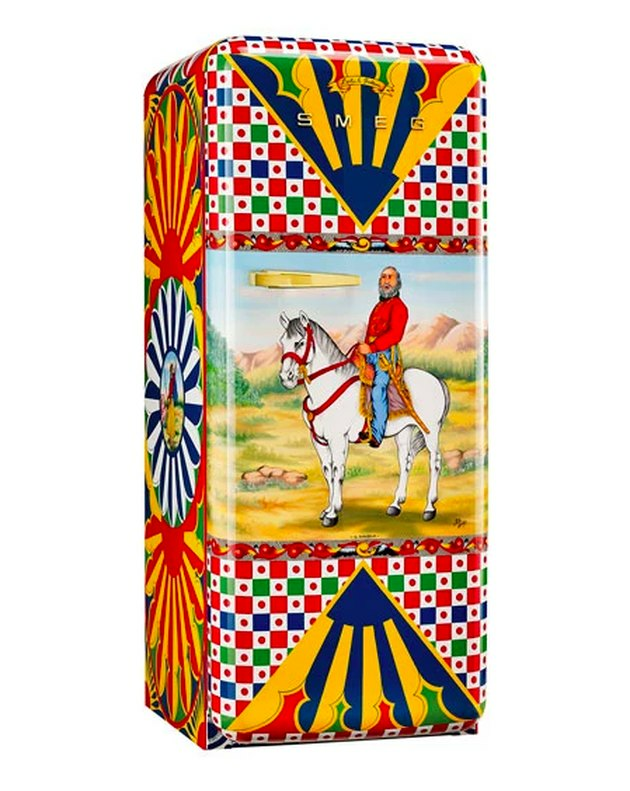 "The unrivaled protagonist of the decorations of this refrigerator is Giuseppe Garibaldi, the leader nicknamed 'the hero of two worlds.'" 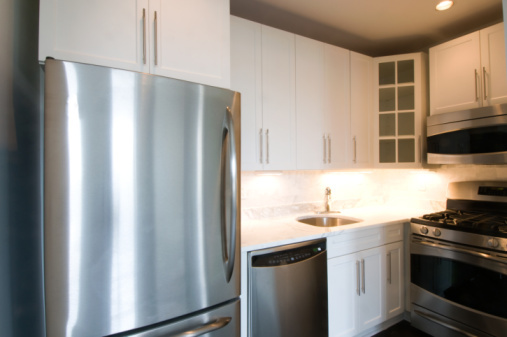 What Are the Dangers of Refrigerators? How Has the Refrigerator Changed Our Lives?